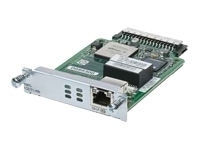 The Cisco Channelized T1/E1 and ISDN PRI High-Speed WAN Modules combine multiple T1/E1 WAN connectivity-Channelized T1/E1 and ISDN Primary Rate Interface (PRI), in the same card. 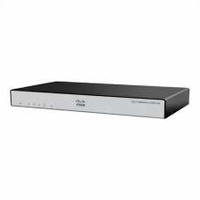 With flexible WAN connectivity options, together with integrated routing, security, voice, and wireless capabilities, Cisco Integrated Services Routers can meet every need of enterprise-class branch offices today and in the future. The integrated channel service unit/data service unit (CSU/DSU) function allows customers to consolidate customer premises equipment (CPE). 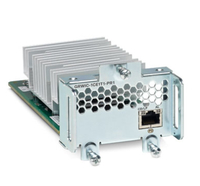 The 1- and 2-port Channelized T1/E1 and ISDN PRI HWICs are updated versions of the E1/T1 ISDN PRI network modules, with the same functions and performance in a compact form factor of HWIC. 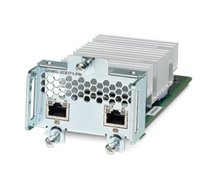 You can save the network module slots for other LAN/WAN connectivity, and your deployment flexibility is greatly enhanced.